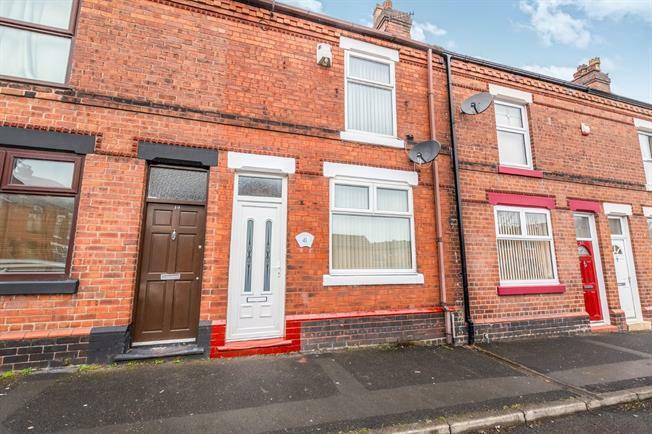 3 Bedroom Terraced House For Sale in Newton-le-Willows for Offers Over £85,000. We are delighted to offer for sale this spacious three bedroom mid terraced property. The property is conveniently placed for local shops, schools and amenities, in addition to boasting excellent public transport and commuter links. In brief, the well presented accommodation comprises; entrance hall, open plan lounge, dining room and fitted kitchen to the ground floor. Whilst, to the ground floor, there are three bedrooms with the master having fitted wardrobes and a family bathroom. Externally, there is an enclosed courtyard to the rear. Internal inspection is advised to fully appreciate what is to offer. Window to rear, radiator, laminate flooring. Window to front, radiator, decorative fireplace, laminate flooring. Window to rear, door to side, fitted with range of wall and base units with work surfaces over, inset sink unit, built in oven with gas hob over. Window to front, built in wardrobes, radiator, laminate flooring. Fitted with a three piece comprising; panelled bath, pedestal wash hand basin, low level WC.